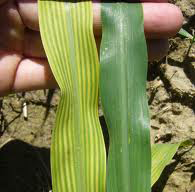 Understanding that an excess or deficiency of one nutrient can cause the deficiency of another, it is critical to watch balance between minerals rather than to focus on the specific level of a particular nutrient. There is typically a large focus on Nitrogen, Phosphorus and Potassium but, we believe that the four major nutrients to watch are those that govern and enable photosynthesis. 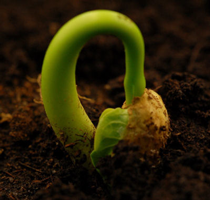 A plant's productivity is dependent on its photosynthetic potential. A plant whose photosynthesis is hindered by nutrient deficiency is limited in its ability to function at a basic level. The four major nutrients that enable photosynthesis are calcium, phosphorus, magnesium, and boron. Focus should be on enhancing availability of these elements. If there is ample reserve of the nutrients, but availability (water soluble) of any one of these nutrients is low, then we must focus on the factors that unlock nutrients trapped in the soil. This includes looking at nutrient synergists and antagonists that may be contributing to the limitation of the nutrient(s). To achieve better balance, we recommend that you promote the constant and consistent supply of phosphorus, calcium, magnesium and boron. Knowing that each of these elements has synergists, it is especially important to be mindful of the relationship between Phosphorus and Magnesium, and between Calcium and Boron. Calcium is necessary for the transport of all other nutrients in the plant. Calcium should be balanced with potassium, magnesium and sodium. Too much potassium inhibits the uptake of both Calcium and Magnesium. A plant needs Boron in order to take in Calcium. Zinc is necessary for Phosphorus uptake . Phosphorus to Zinc ratio needs to be below 10:1 in order to avoid Phosphorus or Zinc tie-up. Zinc is key in enzymatic processes, especially leaf sizing for optimal photosynthesis. Photosynthesis is responsible for 95% of plant productivity. The water holding capacity of humates is 6:1 so keeping all the humus you can is crucial to optimal water management and conservation. A plant’s productivity is dependent on its photosynthetic potential. A plant whose photosynthesis is hindered by nutrient deficiency is limited in its ability to function at a basic level. The four major nutrients that enable photosynthesis are calcium, phosphorus, magnesium, and boron. Focus should be on enhancing availability of these elements. If there is ample reserve of the nutrients, but availability (water soluble) of any one of these nutrients is low, then we must focus on the factors that unlock nutrients trapped in the soil. This includes looking at the nutrient synergists and antagonists that may be contributing to the limitation of the nutrient(s).